It’s been a tough couple of weeks for Pierce County law enforcement. The sheriff’s department shared the sad news that one of their deputies took his own life on Friday morning. That comes less than three weeks after an officer with the Lakewood Police Department died by suicide. It’s a tough topic to talk about, but an important one, because suicide affects so many people. The National Suicide Prevention Lifeline provides support 24 hours a day, seven days a week at 1-800-273-8255. If you’re worried about someone you love, you can find warnings signs here. A recent study of police suicides found an average of 130 police officers take their own lives each year, from 141 law enforcement suicides in 2008 to 116 law enforcement suicides in 2016. The statistics hit home with the recent deaths of Pierce County Deputy Kory Shaffer and Lakewood Police Officer Aaron Grant. Troyer described 47-year-old Shaffer as a well-liked, well-respected officer who’d been with the sheriff’s department for 16 years. Officers are often at heightened risk of suicide because their jobs are not just physically dangerous. 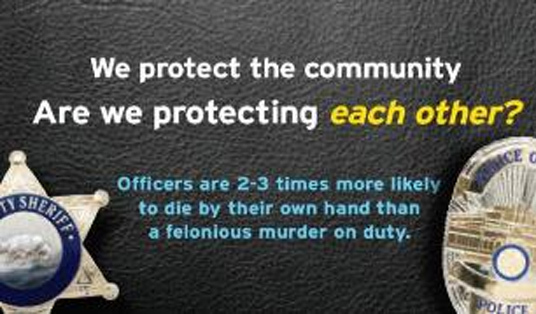 Working in law enforcement takes an emotional and mental toll as well, due to the violence they see and the stress they deal with on a regular basis. “Kory was part of a high intensity unit that was involved in extremely high intensity calls. In fact, he’d been involved in a couple of calls in the last few months that most people don’t even go through once in their entire career. He was the type of guy that could handle that, same with the rest of his unit. So we don’t think that was it, but that’s something we’re looking into,” said Troyer.